The EBRI Retirement Readiness Rating™ was developed in 2003 to provide assessment of national retirement income prospects. EBRI’s Center for Retirement Readiness conducts extensive anaylsis on the topic. 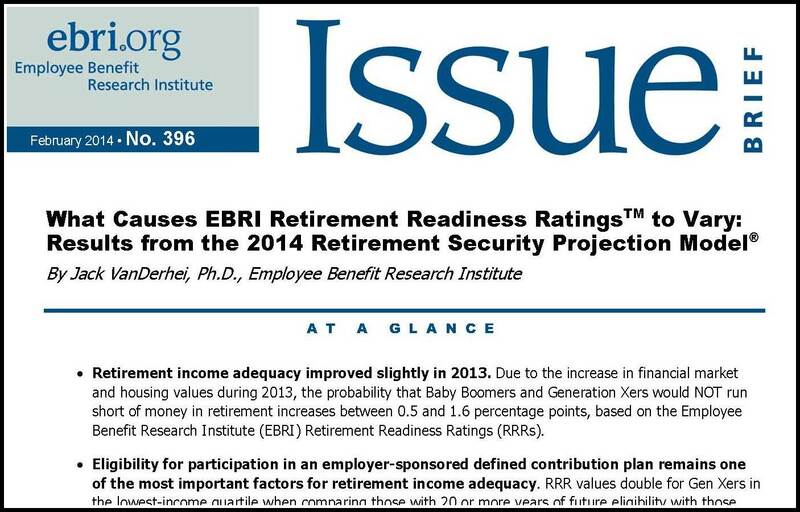 The most recent report is published in the February 2014 EBRI Issue Brief, “What Causes EBRI Retirement Readiness Ratings™ to Vary: Results from the 2014 Retirement Security Projection Model®” and is online here. The press release is online here.